The KnowRISK Portfolio of Solutions for the reduction of seismic risk through non-structural elements aims to alert building owners and occupants, engineers, designers, architects and other parties to the need to prevent poor performance of non-structural elements in earthquakes. It is important that architects and other parties collaborate and seek specialist engineering advice for seismic restraints and detailing associated with building fit-outs, particularly when a structural engineer is not directly involved with the details of the design. 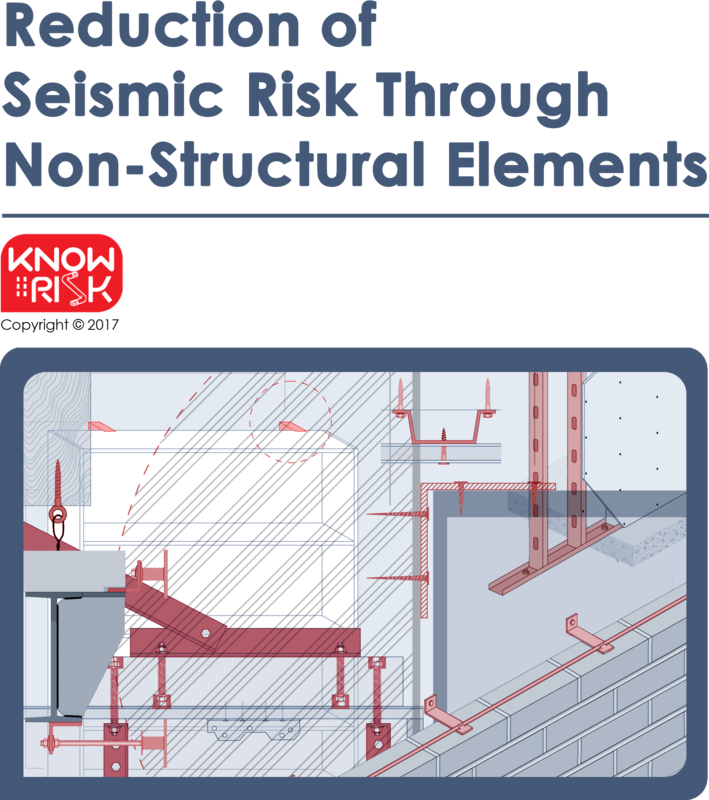 KnowRISK Portfolio of Solutions will help structural engineers, architects and MEP (mechanical, electrical and plumbing) engineers know which of their elements require design and seismic restraint. Damage to non-structural elements (NSE) constitutes a large portion of loss due to earthquakes, and the loss attains 65% to 85% of total construction cost of commercial buildings . In recent earthquakes in countries having codified seismic design provisions, losses from damage to non-structural elements has far exceeded losses from structural damage . Understanding damages to non-structural elements, sources of non-structural earthquake damage, and how damages affect the functionality of facilities are all critical aspects for developing general recommendations concerning disaster risk management. The KnowRISK Portfolio of Solutions is a comprehensive publication which identifies potential earthquake hazards associated with non-structural elements of residential buildings, workplaces or schools and further provides detailed instructions (sketches of many simple, practical details for a range of common items) and guidelines for mitigating those hazards, considering the stakeholder groups perspective. Different stakeholder groups characteristically have different motivations and criteria (e.g., investment risk, operational risks, and market risks) for decisions relative to catastrophic hazard mitigation. The KnowRISK Portfolio of Solutions chooses two groups of stakeholders: “Owners and Facility Managers” and “Homeowners”. Paragraphs marked FEMA 445 are taken directly from FEMA 445. Owners and Facility Managers FEMA 445: Owners and managers are responsible for commissioning building design and construction, acquiring, maintaining and/or operating buildings and facilities. They make decisions about catastrophic risks that lead to action (or inaction) on a relatively narrow scale. Motivations generally spring from the best interests of the specific business or institution. Within the owner/manager category, three perspectives have been identified as important for interaction: investors, institutions and industry. The owners and facility managers are responsible for enabling efficient and effective use of buildings. Homeowners Homeowners are responsible for repairing structural and non-structural elements. This Portfolio is developed by listing non-structural elements that could have potential seismic risk and actions to mitigate that risk on the part of homeowners and tenants. The recommendations contained in this Portfolio are intended to reduce the threats and potential hazards to people and property but not completely eliminate them. 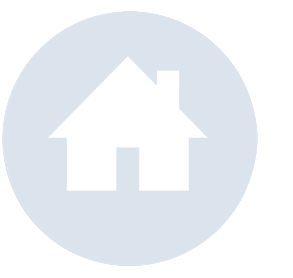 This Portfolio is a highly selective list of non-structural elements and is intended as a general description of certain type of services available to qualified customers and homeowners. All the technical solutions are the result of an extensive research and compilation of relevant safety standards performed by KnowRISK team, from multiple studies [6, 7] guides, reports, periodicals, and other sources dealing with reduction of seismic risk through non-structural elements. The seismic hazard in a given region or geographic location is related both to the severity of ground shaking expected in the area and to the likelihood, or probability, that a given level of shaking will occur. Seismic hazard is often characterized in terms of three levels of shaking intensity: namely low, moderate, and severe. 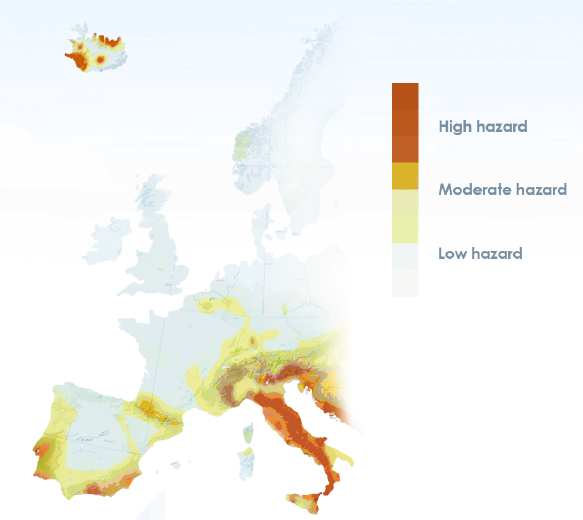 The seismic hazard maps presented in Figure 1 show the geographic areas in Europe with low, moderate, and high probabilities of earthquake ground shaking in the future. Earthquakes are unpredictable phenomena. The places where it is likely that strong earthquakes happen in the future are known, but not the dates. Therefore the minimization of the effects of earthquakes has to be done without knowing the dates in which they will occur. The Civil Protection cannot avoid most of the consequences of earthquakes, as it acts essentially after the Emergency is declared (after the earthquake, helping the survivors and all the recovery process) and most of the victims and damage are caused during the earthquake shaking. It can be concluded from the above that prevention is the main type of action to reduce earthquake effects. Civil Protection is a complement of preventive policies, but cannot replace them. - Hazard: the likelywood that a given zone is hit by earthquakes of certain characteristics during certain periods of time. - Vulnerability: potential for the buildings and all other structures and infrastructures of a given zone to be damaged by earthquakes and consequently endangering people, meaning that inhabitants may be wounded or killed by damaged structures or falling objects. The vulnerability depends on the level of resistance, to earthquake actions, of the buildings and other structures. Vulnerability related to non-structural elements is also very important (see section 2.5) and the main topic of the present document. To study the impact of earthquakes in a community a fourth factor should be added: Resilience, which measures the capacity of the community to deal with the suffered losses. Man cannot act upon the first factor, as earthquakes are geological phenomena that man cannot influence. The capacity to act upon the second factor is very limited. The only factor that depends essentially on human action is the third. It is by reducing the vulnerability by adequate preventive measures that earthquakes risk can be strongly reduced. Earthquake risk can be associated both to the structures as well as to non-structural elements. Essentially structure transfer loads from one place to another. For instances beams, columns, stairs, foundations and slabs of a building are structural elements. These type of elements are shown in Figure 2. Non-structural elements are those which are attached to or housed in a building or building system, but are not part of the main load-resisting structural system of the building. As examples of non-structural elements are hollow brick partition walls, building contents and plumbing and pipes. Figure 3 shows several non-structural elements. Mechanical, electrical, and plumbing (MEP) elements Pumps, chillers, fans, air handling units, motor control centers, distribution panels, transformers, and distribution systems including piping, ductwork and conduit. If buildings collapse nothing else matters as non-structural elements are also damaged and people are killed. Therefore, structural integrity is the most important issue. However, most earthquakes, especially in developed countries, kill a small part of the population but cause tremendous economic damage, as most buildings don´t collapse but many are damaged. They also cause larger numbers of wounded people due to those damages. Most of the cost of the repair of damaged buildings refers to non-structural components, which accounts for more than 70% of the cost of the buildings. This value tends to be higher if the contents are very valuable. Damage to non-structural elements may also be of extreme importance in the cases in which it gives rise to the release of hazardous materials. The damage due to the Nuclear power plant of Fukushima is probably the most well-known case. Cracking and overturning of masonry parapets, roof chimneys, large cantilever cornices and balconies. Falling of plaster from walls and ceiling particularly where it was loose. Cracking and overturning of partition walls, infill walls and cladding walls from the inside of frames. Cracking and falling of ceilings. Falling of loosely placed objects, overturning of cupboards, etc. When a building shakes during an earthquake, the base of the building typically moves with the ground. The entire building and its contents above the base experience inertial forces that push them back and forth in a direction opposite to the base excitation. When unrestrained or marginally restrained items are shaken during an earthquake, inertial forces may cause them to slide, rock, or overturn (e.g. Figure 4). For example, file cabinets, emergency generators, suspended items, freestanding bookshelves, office equipment, and items stored on shelves or racks can all be damaged as they move and interact with other items, fall, overturn or become disconnected from attached components. The shaking can also cause damage to internal components of equipment without any visible damage or movement from its original location. Figure 4. 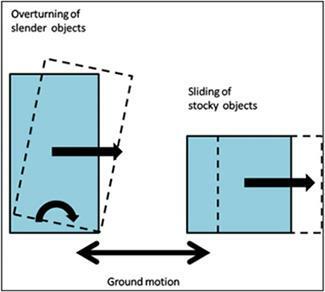 Sliding and overturning due to inertial forces . 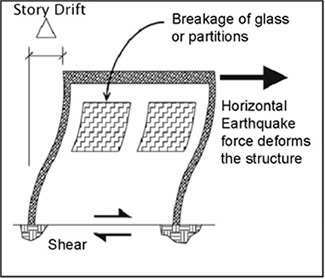 During an earthquake, structural components of buildings can deform, bend or stretch and compress in response to earthquake forces. 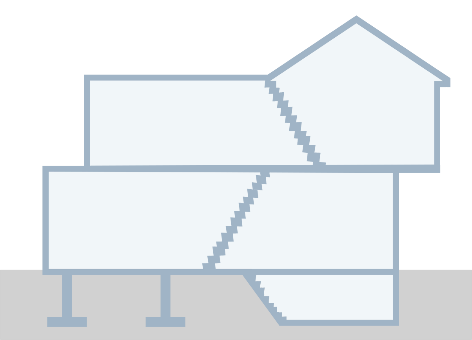 When the building deforms, the columns or walls deform, as represented in Figure 5, and any windows or partitions rigidly attached to the structure must also deform or displace by the same amount. Brittle materials such as glass, plaster partitions, and masonry infill or veneer cannot tolerate any significant deformation and will crack. Once cracked, the inertial forces in the out-of-plane direction can cause portions of these architectural components to become dislodged and to fall far from their original location, possibly injuring passers-by underneath them. Figure 5. Non-structural damage due to building deformation . 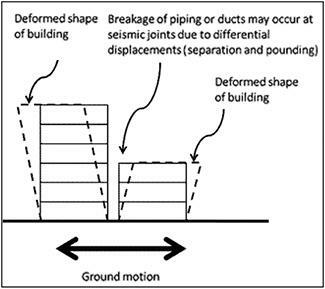 Pounding of adjacent buildings or movement across separation or expansion joints (the distance between two different building structures, as shown in Figure 6) can be a serious hazard in seismically active areas. To provide functional continuity between adjacent structures or between structurally independent portions of a building, utilities must often extend across these building joints, and architectural finishes must be detailed to terminate on either side. The separation joint may be only 2.5 cm or 5 cm wide in older construction or 30 cm or more in some newer buildings, depending on the expected horizontal movement, or seismic drift between buildings. Flashing, piping, conduit, fire sprinkler lines, heating, ventilation, and air-conditioning (HVAC) ducts, partitions, and flooring all have to be detailed to accommodate the seismic movement expected at these locations when the two structures move closer together or further apart. Damage to items crossing seismic separation or expansion joints is a common type of earthquake damage. If the size of the gap is insufficient, pounding between adjacent structures may result, which can damage structural components but more often causes damage to non-structural elements, such as parapets, veneer, or cornices on the façades of older buildings. Figure 6. Non-structural damage due to separation and pounding . Interaction between adjacent non-structural systems which move differently from one another cause non-structural damage. Sprinkler distribution lines interact with the ceiling causing the sprinkler heads to break and leak water into the room below. Adjacent pipes of differing shapes or sizes are unbraced and collide with one another or adjacent objects. Suspended mechanical equipment swings and impacts a window, louver, or partition. Ceiling components or equipment can fall, slide, or overturn blocking emergency exits." The building contents, as usually are elements supported only at the base, is more sensitive to the horizontal accelerations, which tend to be higher in the upper floors. Furthermore, an amplification factor may take place due to proximity of periods of vibration of the building and of the element in study. The architectonic elements, especially partition walls, tend more sensitive to interstorey drifts, as they are supported in the structural elements. These tend to be higher on the lower or intermediate floors, depending on the structural type of the building (moment resisting frames or shear walls). Other architectonic elements, such as decorative objects, are more sensitive to horizontal accelerations. The Mechanical, Electrical and Plumbing (MEP) elements can be sensitive to accelerations, to interstorey drifts, or both. For instances electrical or mechanical equipment lying on the buildings floor may overturn due to the accelerations on the floors. Even if they don´t overturn, they may suffer interior damage due to the accelerations acting upon their components. Other MEP may be more sensitive to building deformations: that is the case of pipes embedded in the structure, due to the deformations the structure will impose on them. The purpose of this Portfolio is to establish the minimum requirements to safeguard the public health, through understandable design examples and actual solutions to significantly reduce damage to a building by fixing a number of known and common weaknesses. 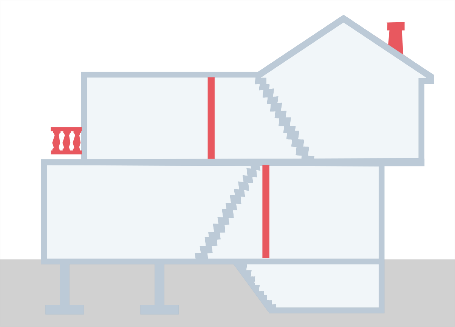 These seismic restrains requirements can apply to almost any building regardless of occupancy type, particularly buildings relied on to provide essential services in the event of a disaster.. This Portfolio of Solutions describes the most common weaknesses that can result in a building being damaged by earthquakes. It enables owners to make a check-list of non-structural elements and identify their weaknesses. It also allows building systems designers, who don’t have a detailed knowledge of seismic engineering to use a range of ready-made solutions for commonly used components, adapt them to a particular project and verify the suitability of solutions by engaging a seismic specialist. Brace Exterior Elements – Reduce or eliminate damage to exterior elements by bracing parapets, anchoring or replacing cornices and architectural elements, bracing chimneys, securing wall panel anchors, bracing large windows, or replacing window glass. Anchor Interior Elements – Anchor interior non-structural elements (non-load bearing interior walls, partition walls, suspended ceilings, and raised computer floors) by securing of un-braced suspended (drop) ceilings and overhead lighting fixtures with wires and struts, bracing of interior partitions, and anchoring raised computer floors at their pedestal supports. Protect Building Electrical, Mechanical, and Plumbing Systems –Heavy building utility equipment can be anchored by protecting springs on vibration isolators, securing gas tanks with metal straps, and bracing and restraining elevator counterweights and rails. Utility connections and supply lines can be secured by bracing overhead utility pipes and HVAC ducts with metal brackets, installing flexible pipes or conduits at connections, and installing seismic shutoff valves on gas lines. Secure Building Contents – Secure furnishings and other building contents to reduce movement from earthquake-induced ground shaking. Desktop computers and equipment can be restrained with chains, cables, clips, or cords. Metal anchors can be used to secure bookcases and large filing systems to floors, walls, or each other. Hazardous materials and other miscellaneous furnishings (tables, chairs, cubicle wall partitions, wall hangings, etc.) can be secured with straps, anchors, angle brackets, and sturdy hooks. KnowRISK Portfolio of Solutions is a comprehensive publication which identifies potential earthquake hazards associated with non-structural elements of residential buildings, workplaces or schools and further provides detailed instructions (sketches of many simple, practical details for a range of common items) and guidelines for mitigating those hazards, considering the stakeholder groups perspective. However, it should be emphasized that non-structural seismic hazard mitigation solutions can only be effective if the building itself is relatively damage resistant during earthquakes. If a building, however important to the community, is highly vulnerable to significant damage or collapse in earthquakes, undertaking non-structural mitigation solutions for the building will most likely not be viable or cost-effective. Bolting a bookcase to the wall, for example, is not worthwhile if the building collapses. Different stakeholder groups characteristically have different motivations and criteria (e.g., investment risk, operational risks, and market risks) for decisions relative to catastrophic hazard mitigation. The KnowRISK Portfolio of Solutions chooses two groups of stakeholders: "Owners and Facility Managers" and "Homeowners". "Owners and Facility Managers" have a vision of the non-structural risks, in the perspective of an activity of support and management of spaces, administrative buildings and of operational efficiency through their customer services and contact center operations. Customer expectations are high, and they are less tolerant or patient with companies for dealing with problems. So, a set of in-person interviews to evaluate the stakeholder expectations and to know what information each stakeholder needs were done to help to determine the best way to convey information to each group. A total of 15-20 stakeholders contributed to this study (Task D2 ). After a dedicated meeting made with each stakeholder, they were asked to collaborate, examining a list of main non-structural elements, choose which elements are more critical to maintaining production continuity, or hazardous if damaged. 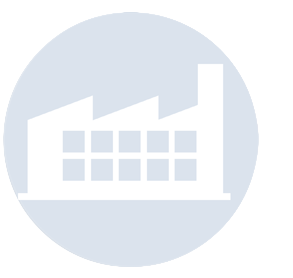 Depending on the stakeholder's priorities, high priority buildings can be selected based on occupancy (life safety), critical facilities (life safety and economic impacts), or on value of contents (avoided damage). For solutions such as bracing light-weight elements, such as suspended ceilings, the type of occupant should be considered because the potential injury rates might be greater for small children in a school and for senior citizens in a nursing home. In lifelines that are important for the live of the populations or for the continuity of economic activities, non-structural mitigation solutions are intended to ensure the continued function of critical facilities after earthquakes (secure or reinforce emergency generators for critical facilities, brace critical medical equipment in hospitals, brace critical pumps for potable water systems, etc). Therefore the stakeholders feedback was very helpful to balance and refine our approach and it includes the completion of the initial list of elements and the characterization of priorities on individual interventions. All these analyses are described in detail in the deliverable C4 of the KnowRISK project, available at https://knowriskproject.com/wp-content/uploads/2017/05/KR_Deliverable-C4.pdf. Life Safety (LS): The risk that people will be struck by a falling object, cut or otherwise injured. Could anyone be hurt by this component in an earthquake? 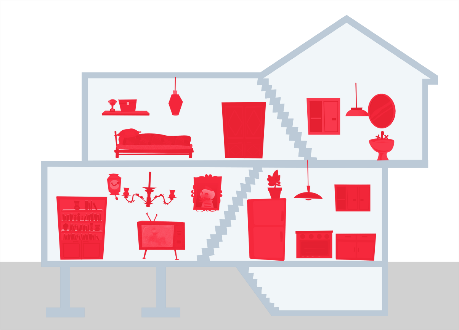 Property Loss (PL): The risk of economic losses to repair or replace damaged items. Could a large property loss result? Functional Loss (FL): The risk that an essential function will be disrupted. Could the loss of this component cause an outage or interruption? Do-It-Yourself (DIY) - these are simple, generic details for non-structural items found in the home, office, classroom, or small business, that can be installed by a handyman using common tools and readily available materials. Engineering Required (ER) - these are schematic details that need to be developed by a design professional and will require installation by a specialty contractor. The designation Engineering Required has been used for items where the self-help approach is most likely to be ineffective. Consult a structural engineer for seismic connection and separation details if you are a building services or mechanical engineer responsible for the design of non-structural elements. e) Indication of technical solution costs. The icons are placed at the beginning of the sheet where the user will see them right away. This will help the reader for an easy access of information and help in taking printouts.